The Millennial Generation, Americans born between the years of 1983 and 2000, are now the largest generation in the United States. This generation has significantly different lifestyle and transportation trends than previous generations which is leading to the need for change in transportation policy and planning. There are many Decision makers in rural and small urban communities experiencing dramatic population growth need sound estimates of future traffic in order to set land use and transportation policies. Metropolitan planning organizations (MPOs) of major metropolitan areas have dedicated staff that build and run travel demand forecasting models (TDFM) costing them hundreds of thousands of dollars a year. TDFMs provide current and future traffic estimates based on different land use and infrastructure improvement scenarios. Rural areas cannot afford these full models and rely on a very simple TDFM (the rapid assessment model) built once every five to ten years (or not at all). 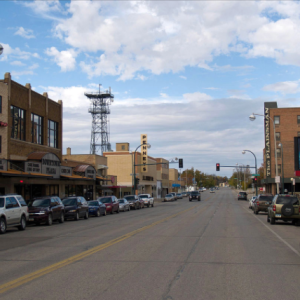 The western half of North Dakota has experienced tremendous growth in recent years due to increased oil exploration and drilling. Along with this has come transportation and housing issues that affect everyone involved. 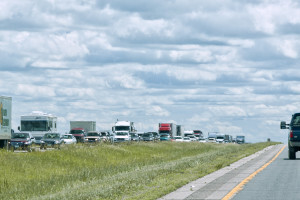 The Highway 2 corridor in northwest North Dakota has seen a dramatic increase in traffic volumes while local airports have seen a substantial increase in passenger boardings leading to greater demand for additional flights. Also, increases in housing and apartment rental costs have forced some to relocate to other communities. These issues highlight a number of livability related topics such as affordable housing, transportation mode choice, and the sustainability of existing communities among others.